We love these! I got them for the pool and plan on ordering about six more! Love the quality! They are super absorbent and very soft to the touch! The colors are also vibrant ! This user was entered into a sweepstakes after submitting their honest review. 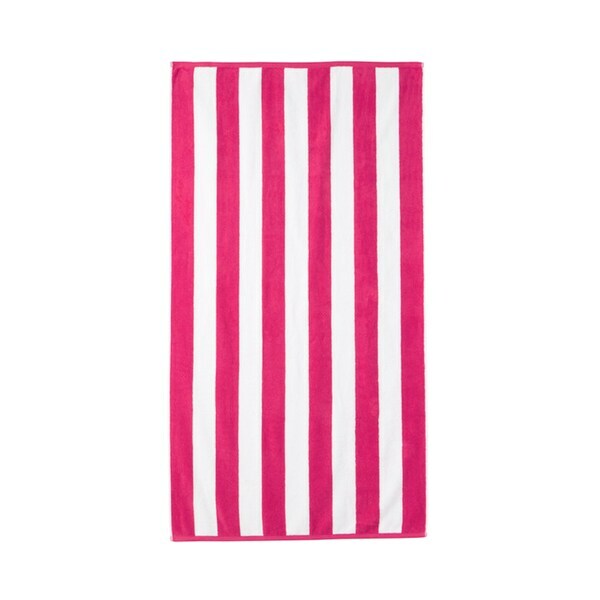 Soft and absorbent 100-percent cotton terry beach towels featuring a colorful Havana Stripe. Measures 30'x60'. Available in Lemon, Teal, Fucshia, Mango, Magenta, Lime. We love these! I got them for the pool and plan on ordering about six more! Love the quality! They are super absorbent and very soft to the touch! The colors are also vibrant ! You've heard about bath towels and you have heard about beach towels, but what's the difference between the two? Read on to find out some of the common differences between the two types of towels, including their size, appearance, price, and thickness. An inviting guest bedroom adds to a guest's experience, whether they're on vacation or just passing through. Welcome visitors with their very own home away from home. Plush bath towels are the ultimate indulgence in your daily bathing routine. Once you've purchased quality towels in the size and color you want, you can extend their life and effectiveness with a little care. Towel Buying Guide from Overstock.com. This towel buying guide will help you pick the right towels for your home.